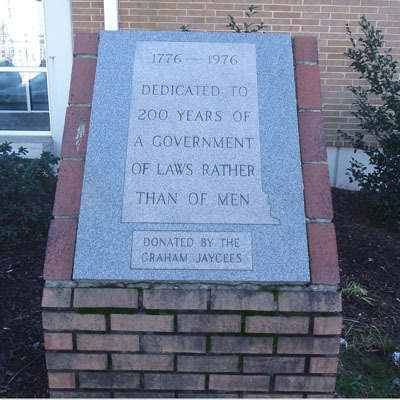 Description: The commemorative marker is composed of rectangular granite tablet housed in a sloping brick base. 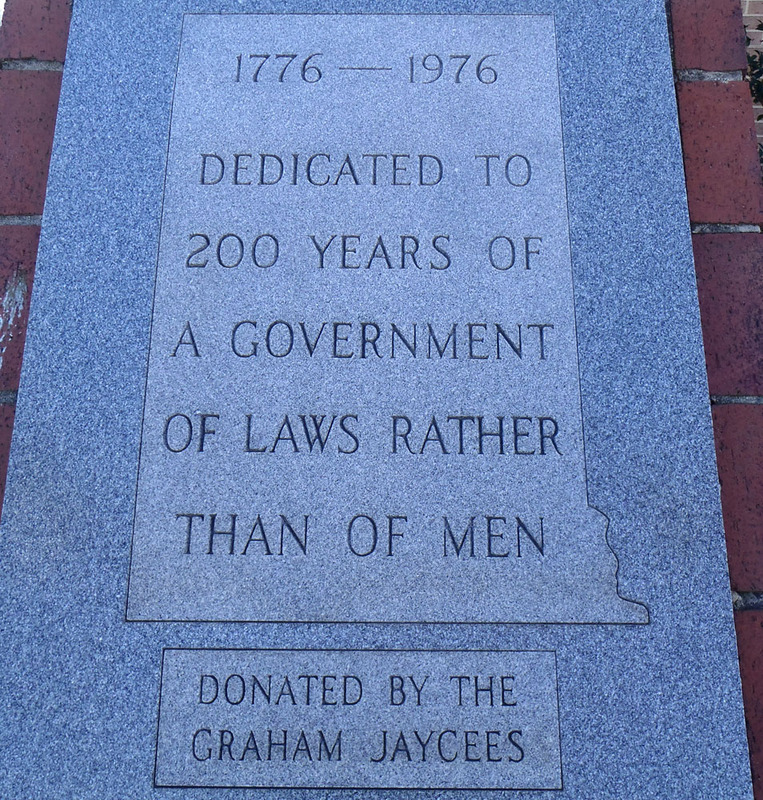 Subject notes: The monument was erected to honor America's bicentennial in 1976. 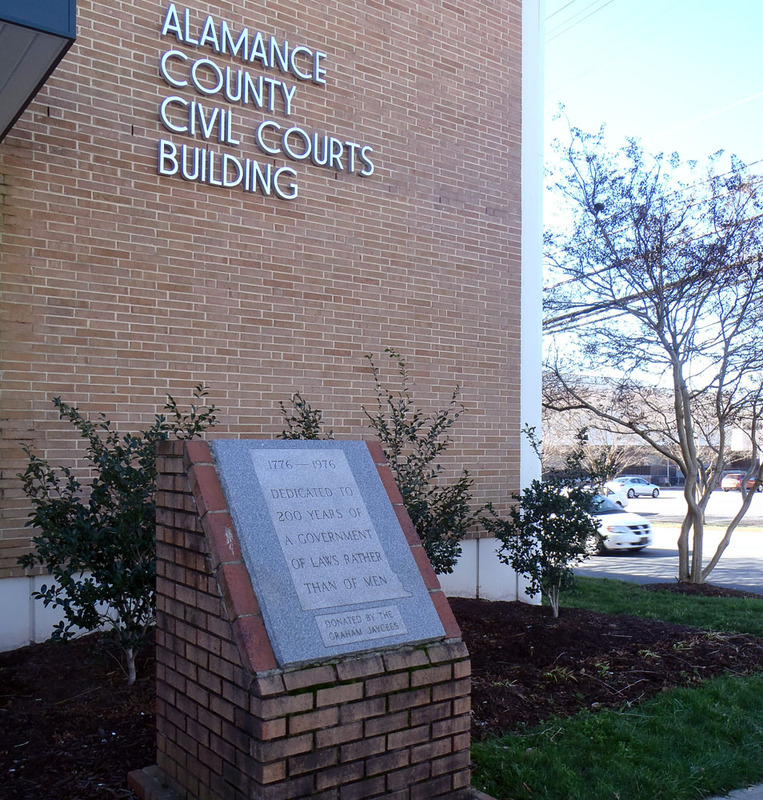 Location: The monument is located in front of the Alamance County Civil Courts Building and faces West Elm Street. Landscape: The monument sits amidst the landscaping between the sidewalk and the building. It is surrounded by shrubs and seasonal plantings.